Cornwall is renowned for it's long beaches, rugged coastline and country pursuits. So what better way to enjoy the region than by bringing your own country companion, your horse. We have increasing numbers of properties with either onsite or nearby livery services. On the Lizard we have a great site at Nanplough, with DIY Livery, 25 acres and a 'resting' field, where the vacationing horse can be turned out on it's own. Located at Nanplough Farm on the beautiful Lizard Peninsula, Badgers Cottage is a beautifully presented 2 bedroom cottage. Nanplough is a stunning place to take a holiday with a superb heated swimming pool, the pool in in a sheltered sun-trap the decking also has plenty of loungers and tables and chairs. Within the 24 acres of farmland there are sheep, horses, chickens & ducks. Located at Nanplough Farm on the beautiful Lizard Peninsula, Pheasants Walk is a beautifully presented 3 bedroom cottage. Nanplough is a stunning place to take a holiday with a superb heated swimming pool, deck and 24 acres of farmland where sheep, horses, chickens & ducks graze. Located at Nanplough Farm on the beautiful Lizard Peninsula, Squirrels Drey Cottage is a beautifully presented single bedroom cottage. Nanplough is a stunning place to take a holiday with a superbheated swimming pool, deck and 24 acres of farmland where sheep, horses, chickens & ducks graze. Located at Nanplough Farm on the beautiful Lizard Peninsula, Woodpeckers Cottage is a beautifully presented single bedroom detached cottage. Nanplough is a stunning place to take a holiday with a superb heated swimming pool, deck and 24 acres of farmland where sheep, horses, chickens & ducks graze. Located in the centre of the idyllic, rural village of Philleigh in the heart of the Roseland Peninsula, this imaginatively designed barn conversion is on an historic working farm. 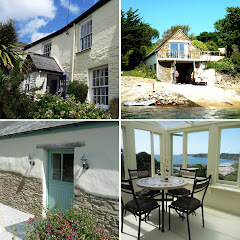 Only a few steps from the historic Roseland Inn and a short drive to St Mawes or Portscatho makes Bos Eglos a superb place to stay. Jubilee Cottage is a delightfully spacious, modern barn conversion situated next to a livery yard and with excellent access to the breathtaking scenery of Bodmin Moor, from rocky tors to open moorland, atmospheric wooded valleys and gentle streams. Please note prior arrangement to bring your horse for all these properties is required.